Bio and History all rolled into one! This page is basically about me, Alex Briggs, the owner and creator of Wrench Racer. It is a bio and a history all wrapped in one to show you how I got to this point and how Wrench Racer started. I got hooked so badly, at one point I would carry another kid’s bag home from school, just so I could ride his Honda minibike around his backyard! 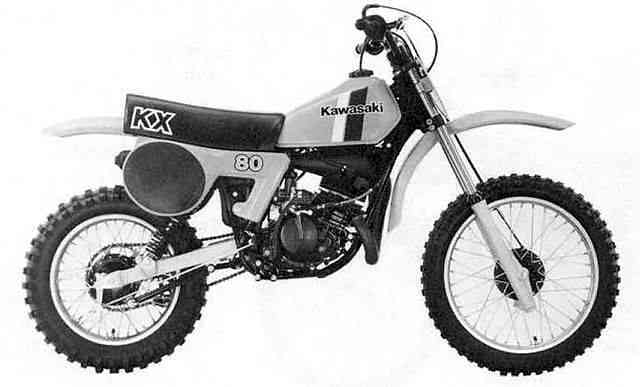 With the help of my dad overpaying me for jobs around home, I eventually had enough money to buy a second hand KX80B2 with no kickstarter. I loved that bike. As I had my own bike I then needed to maintain it and started to enjoy fixing and looking after it. The first job was buying a kickstarter. My father was good with his hands but had never been involved in engines or bikes so helped me out and we learned together. My father is a retired geophysicist and I have lots of super funny stories about the two of us and bikes..... Maybe some other time? Anyway I bought another bike and started racing motocross and short circuit. I liked the motocross more so headed in that way. I did work experience at high school for a government bus company called ACTION buses. I loved working there and decided to apply at the end of year eleven as the school careers advisor said I should start getting used to applying and being rejected (never liked him!). As it turned out, I went through a three stage interview process and from 1000ish applicants I was given an opportunity with about 10 others to become an apprentice mechanic alongside spray painters and panel beaters. So I decided to leave school in year 11 and get my trade, but all the time racing motocross and believing I would one day be world champion. Turned out that in the end I would not be a world champion rider but would work for two world champions and my careers adviser from high school was way wrong about me. I never liked him - did I say that? I was an OK racer, I traveled all around Australia with my mates in Toyota Hi Ace vans, had so much fun, the guys at work used to cover for me when I was late back from a race because sometimes we would drive all night from QLD or SA to get back to work. I used to wash my bikes at lunchtime and practice in the afternoon as I got off work at about 4pm. Some of my mates were much better than me. I had local sponsors for tires, and bikes were cheaper for me. I was sponsored by a clothing company and an oil company but I was just not good enough. I would make the main event 5/10 times only to come last or close to last, but man it was fun. Some of my mates at the time were very good, some became Australian champions or were vying for them. I would often help them fix or tune their bikes and got a bit of a name for doing that. That led to being asked to work for Yamaha Australia's Peter Jackson Motocross team (Peter Jackson was a tobacco brand). I left Canberra and my now full paying government job, gave up my dream of being a motocross star, sold my two Honda CR250s (a race bike AND a practice bike - so that’s where all my money went) and moved to Sydney for $20,000 before tax and rented a room from the team manger, Ross McWaters. It just felt right to do that, I loved working on race bikes. It also helped that I had just broken my tailbone in a practice crash! That was in 1991. I worked for Stephen Andrews, Craig Dack and did some work for NZ rider Shayne King when he came over and raced for Yamaha in Australia. I also did an interesting thing. Me and another mechanic who also worked for Peter Jackson MX were asked if we wanted to work for a Yamaha Japan Factory Racing effort in the Australian Safari, albeit for no pay. I was the only one to put my hand up so I got the gig. It was fantastic, working late into the night on bikes in the dust, sleeping on transport buses while your rider rode all day, setting up camp for them. I had a great time. I would spend an hour or more each night with the Japanese riders and the route map explaining what things were so they could write down in Japanese what it was, eg shearing shed, water tank, creek etc. I remember that they could not see the route maps in the dark of the early morning so I rigged up a spare indicator light over the map on the bars. They could read and as the light was orange it seemed not to be difficult to look up to the track ahead and then back to the route map and still focus. They were very happy with that! Anyway that came to an end and as a thank you they invited me to go to Iwata in Japan to work at the factory for a while (the very same place I would years later build my first Yamaha MotoGP bike, again for no money!). I went, paid for my plane and the rest they looked after. I even went to the Tokyo SX while I was there and while in the pits ran in to Shayne King who asked me if I could help him out, so I did. It was a great night and I found myself out in the middle swinging a pit board for one of Ricky Johnson's last rides. I learnt so much in those three months and had a great time, and to this day I still work with a Japanese guy I met back then. I could tell you so much about that time - but I’ll save some stories for later. During all of this I had dreams of going to Europe as a motocross mechanic. I met many great people and told them that that’s what I wanted to do. In the end I was given the opportunity to work for Yamaha Europe's MX team but ended up taking a phone call from Jerry Burgess (JB) - you can read about this in other interviews. Long story short, I started working for Daryl Beattie in the HRC Rothmans Honda team at the end of 1992 in preparation for racing in the World Championship in 1993. 1993 - Daryl came 3rd in the World Championship and I had a taste for GPs, just like my first ride on that KX 80 years ago. No turning back now. 1994 - was the year JB and Mick Doohan asked me to work with Mick. He won his first Championship and had taken me along for the ride. I learnt all about pressure and desire that year with Mick. 1995 - Mick wins again. 1996 - Mick is World Champion yet again. 1997 - Mick is World Champion. Spotted the trend yet? 1998 – Yahoo, Mick is World Champion. 1999 - Mick crashes out during practice in Jerez and his Championship years are over. I get asked to help out Sete Gibernau for the rest of the year as he steps up from the V-twin Honda 500 to the NSR 500 that was based on Mick’s bike at the time. Sete did well, had a few massive crashes, but got it together in the end and had a great race in Welkom, South Africa where he finished second. Honda said I could go home after that so I got an early mark for the season and missed the last two races. Sete finished the year in 5th. 2000 - my first year with a kid called Valentino Rossi. What a year and the beginning of something great that is still going today. He came 2nd in that Championship. 2001 - Valentino wins his first top level World Championship on a 2 stroke 500cc Honda. 2002 - Valentino wins again, on the first of the modern four stroke 990cc Hondas. 2003 - Valentino wins and at the end of the season he announces he is leaving and will ride for Yamaha the next year. Me, JB, and two other Honda mechanics - Gary and Bernard – join him. 2004 - Valentino wins the first race on the Yamaha, and goes on to win the Championship. I think this and the next few years will be the ones I look back on the most fondly. 2005 - Valentino wins the World Championship. 2006 - we struggle with some issues and Valentino finishes 2nd. 2007 - we again have some troubles and finish the season 3rd. 2008 - Valentino comes back and he wins the Championship. 2009 - Valentino again wins, making it seven times in the premier class. I have been lucky enough to be part of every one. His wins in the other GP categories make him a nine times World Champ. 2010 - Valentino breaks his leg at Mugello. While he recovers the crew miss a race and then work for Yamaha's test rider Yoshikawa. At the end of this year Valentino announces he will race for Ducati the following season. Me and the same group go with him again, along with another Yamaha mechanic called Brent. Valentino finished the year 3rd in the championship. 2011 - the most interesting but difficult year I have ever had as a mechanic. Valentino finishes the year 7th. 2012 - Valentino finishes 6th and I find I have just done a year as a mechanic even more difficult than 2011! It’s the year Wrench Racer starts. with updates as we continue on. 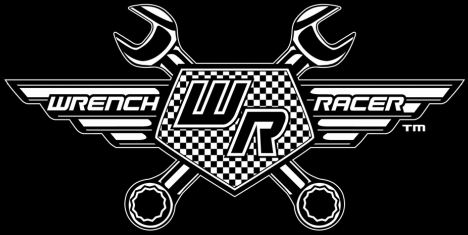 I hope one day in 30 years from now people are wearing tee shirts that say “Wrench Racer, since 2013”! 2014 - Long time Chief Mechanic Jerry Burgess is replaced by Silvano Galbusera as Valentino looks for motivation and improved results. It is a good year and we finish the season in 2nd with 2 wins during the season. ​2015 - A great, but very difficult year where we narrowly miss winning the championship. It goes to our team mate Jorge Lorenzo. The title is lost at the final race of the year which is gut wrenching for all of us as we have lead the championship from the first race. The season will be talked about for years as we were involved in an altercation in sepang that resulted in a penalty that meant we started from the rear of the grid in the final race. This meant the championship was in other people's hands more than ours. We finished fourth on the day and 2nd for the year by 5 points. 2016 - We finished 2nd again in what was a good year. I felt so many times during the year we could have won "if only" there were lots of those moments. Our engine broke in Mugello where we were I thought we could win, we crashed while leading in the rain in Assen they were just some of the moments. 2017 - We finished the year in 5th, not much fun. I found this to be a difficult year for us, web changed several things during the year and did not make much headway. One hi light was winning Assen. I felt so very happy for Valentino that day. I think he became the oldest winner ever in GP racing with that win. 2018 - We Finished 3rd with a points total lower than the previous years 5th including one more race. This was without a doubt the hardest year I have had as a Mechanic. The main reason being I thought we had the ability as a team to win races almost all year but failed to do so. I thought Valentino rode well and could have challenged for the win or put pressure on the winners. Adding another GP and extra testing made the year the longest I have ever worked. All this added made it a very frustrating year. We did not win a GP. My first Bike, $400 and the beginning of my racing and motorcycle mechanic career.